Fort Worth, Texas – Charles D. Martin, 81, passed away Thursday, April 6, 2017. Memorial Service were held at 3 p.m. Wednesday, April 19, 2017 at First Presbyterian Church in Fort Worth, 1000 Penn St., Fort Worth 76102. Charlie was born June 6, 1935, to Clarence and Neta Martin in Cheyenne, Okla. 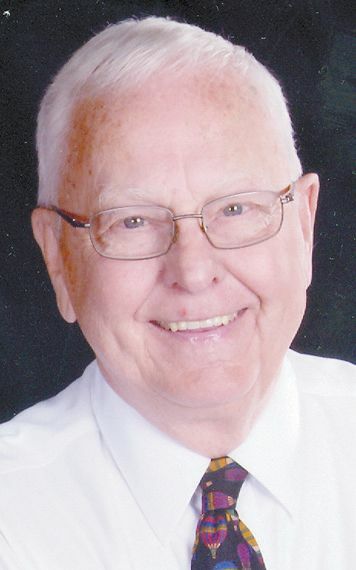 He graduated from Southwestern Oklahoma State University College of Pharmacy in 1957. He served in the Army Reserves. Charlie moved to Amarillo in 1960 to work for Volle’s Apothecary. Charlie married Barbara Hauger in 1964 in Amarillo. He owned and operated Charlie Martin Pharmacy for many years and later, owned and operated Martin-Tipton Pharmacy with his partner, Roger Tipton. He retired at the end of 1994. Charlie and Barbara moved to Fort Worth in 1999. He was a member and elder at First Presbyterian Church, where his special interest was in missions. He served on the Mission Committee, volunteered at the church’s Community Crossroads and also Meals on Wheels Fort Worth. Survivors include his wife of 53 years, Barbara Martin; daughter, Sarah M. Daniel and husband, Jerry of Fort Worth; son, Doug Martin and wife, Amy of Arlington; granddaughters, Atlee Daniel, Clare Martin, and Julia Martin; and sister, Shirley J. Allen in Elk City, Okla.